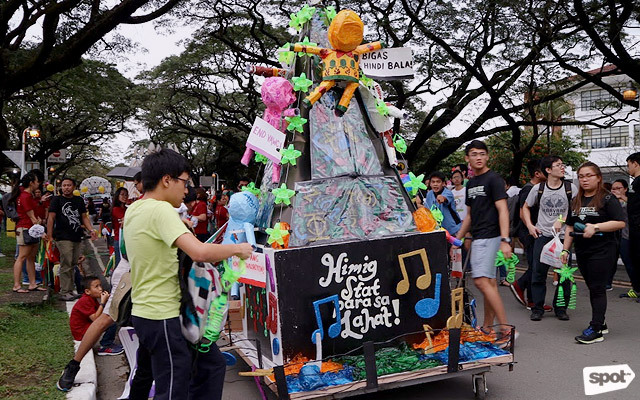 This year's theme is "Himig ng Diliman, Hagkan ang Gabi." 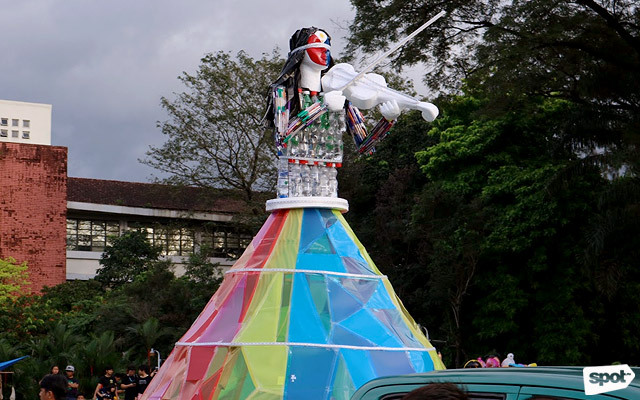 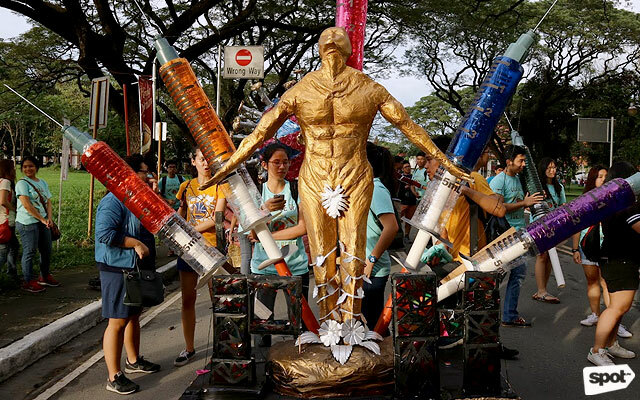 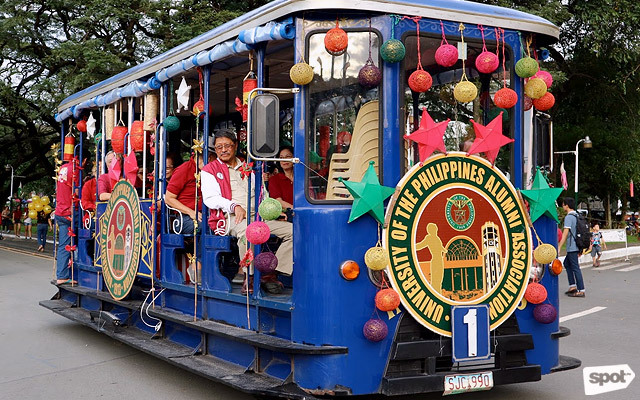 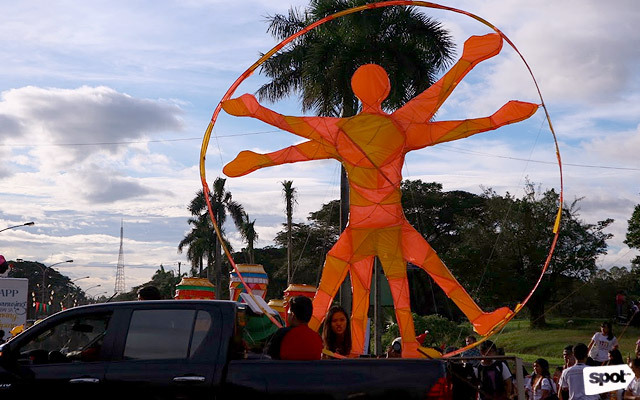 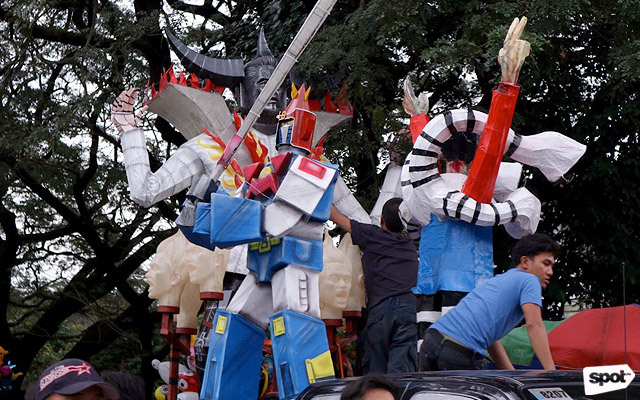 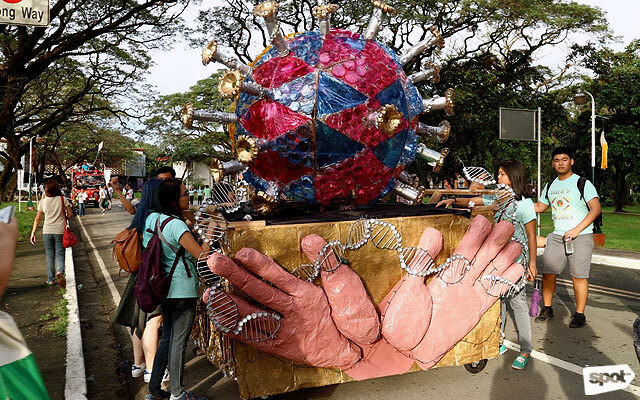 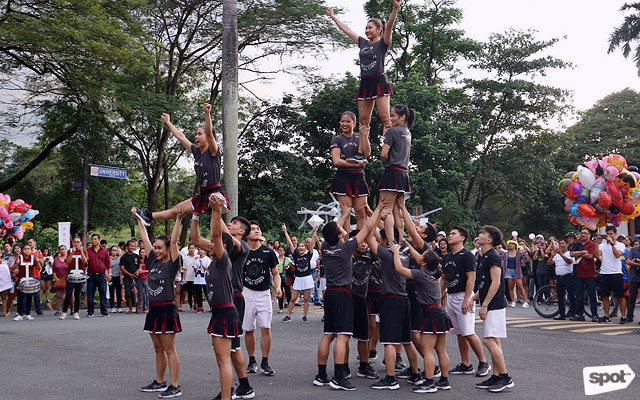 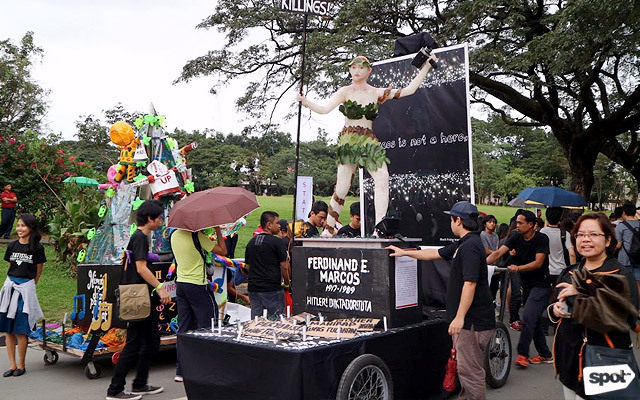 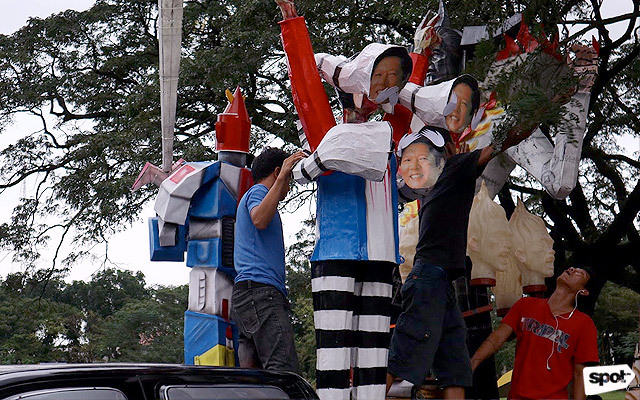 (SPOT.ph) At around 1 p.m. on Friday, December 16, the participants of the the much-anticipated University of the Philippines (UP) Lantern Parade in Diliman, Quezon City started assembling around the Academic Oval. 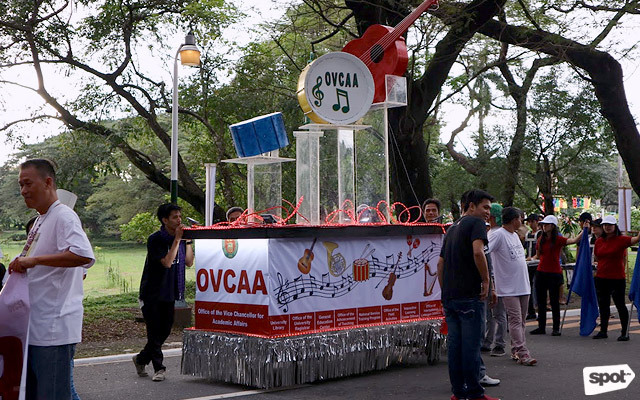 The University Avenue (from Jacinto Street to Quezon Hall) was likewise closed to make way for the floats. 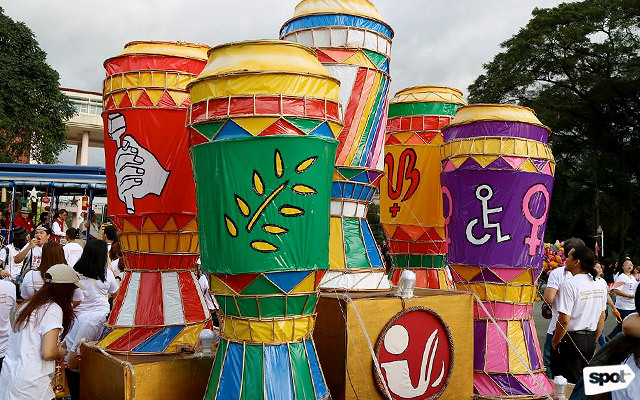 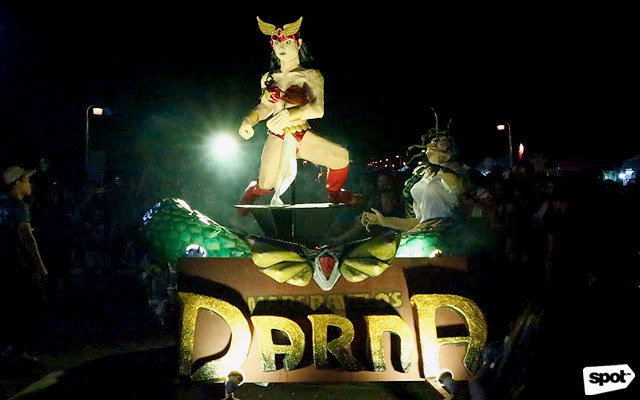 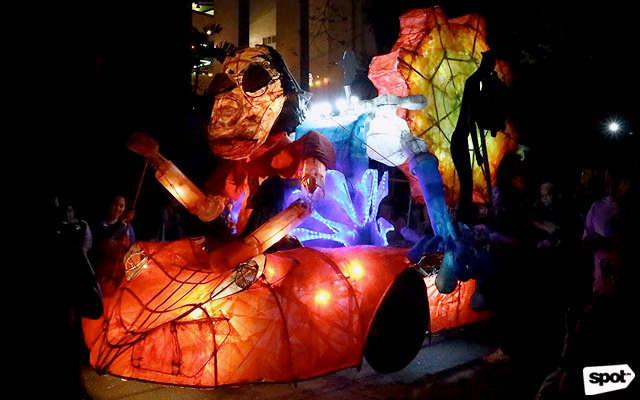 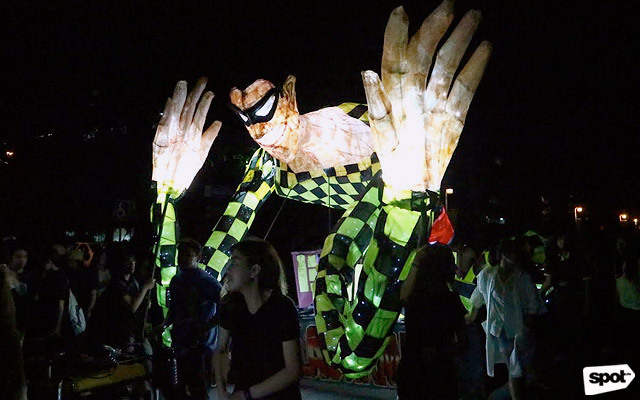 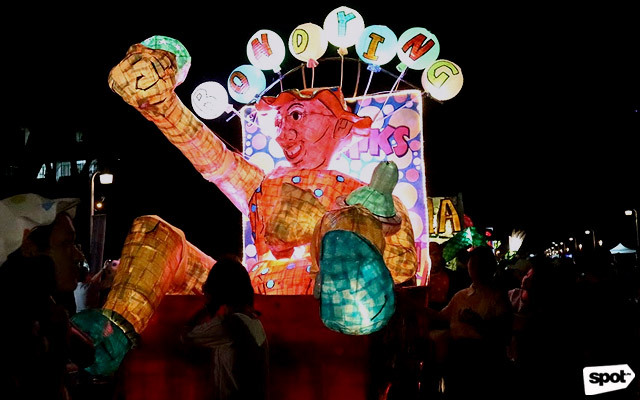 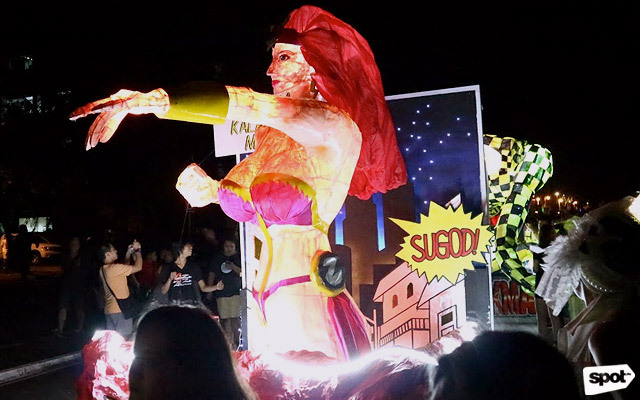 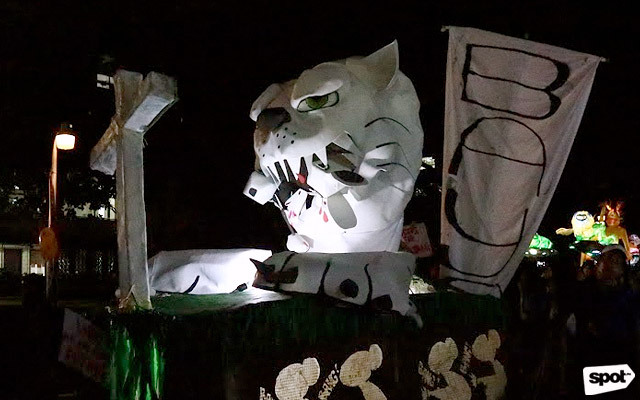 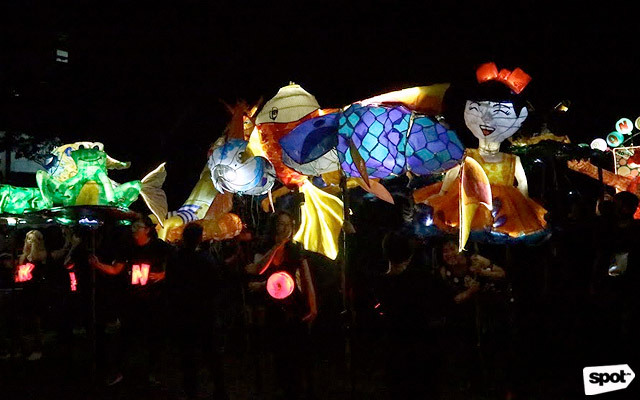 This year, the Lantern Parade worked under the theme, "Himig ng Diliman, Hagkan ang Gabi." 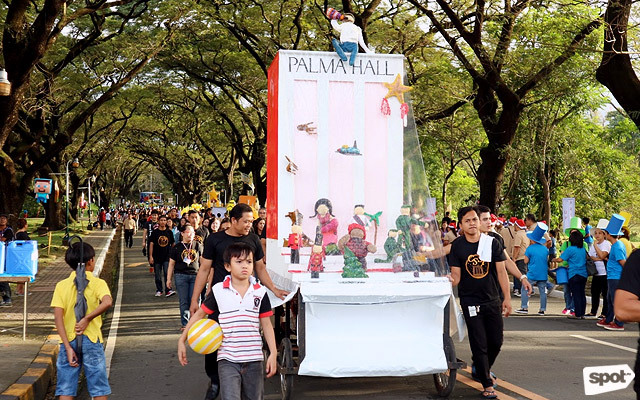 The first half of the theme was explained when the university kicked off its Christmas festivities in the annual Pagiilaw or switching of decorative lights around the Oblation statue in front of Quezon Hall—as well as and throughout the rest of the campus—on December 2. 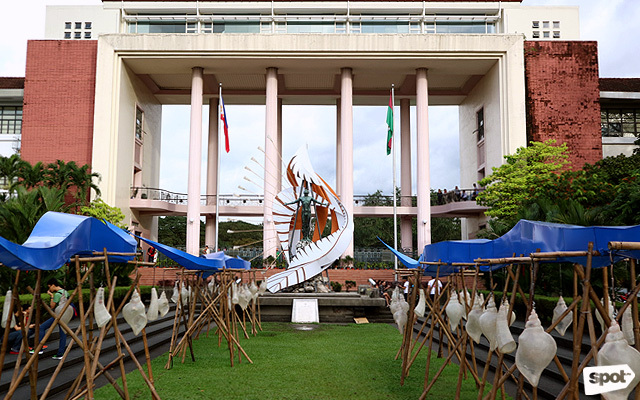 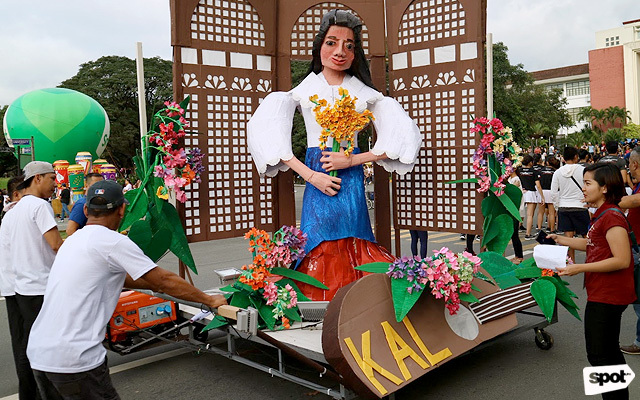 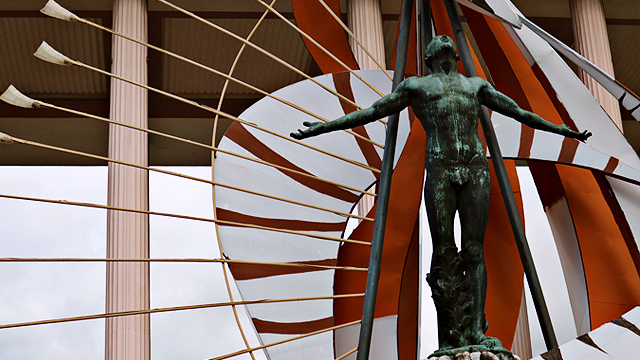 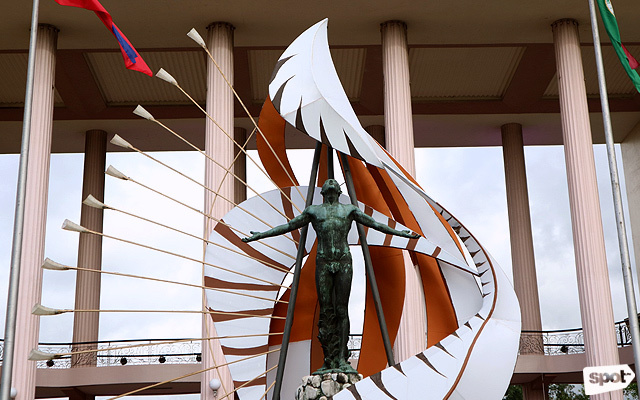 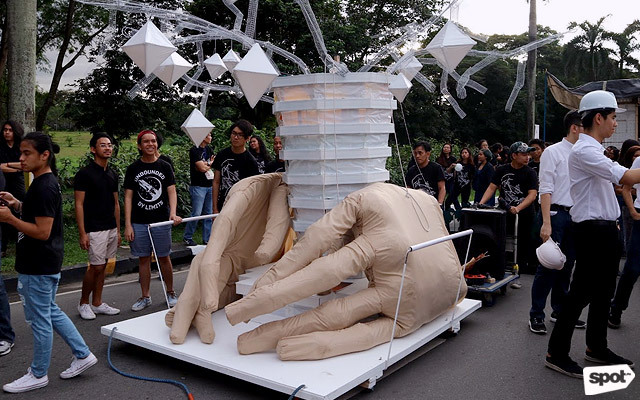 "With the theme 'Himig ng Diliman,' the ceremony revealed the Oblation adorned with lantern elements reminiscent of a budyong or conch shell," recalls Romsanne Ortiguero in an InterAksyon feature. 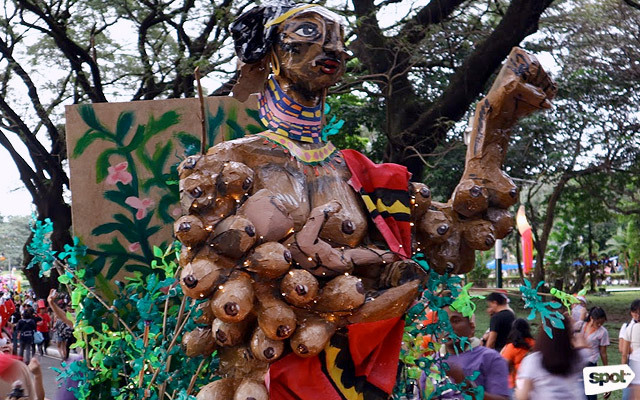 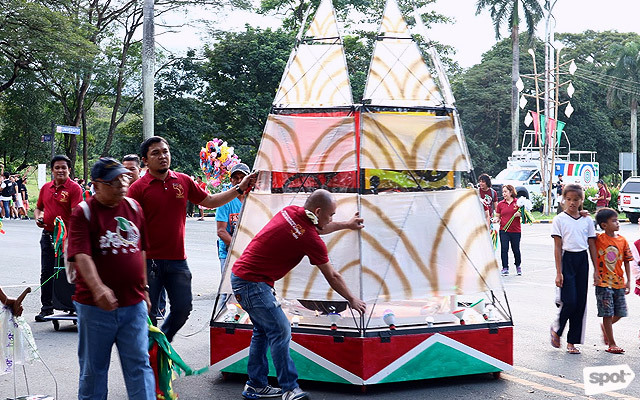 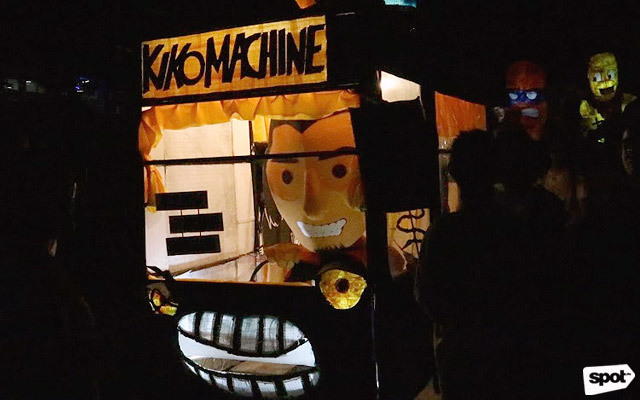 The report noted: "Toym Imao, creator of the installation with soundscapes from Solaiman Jamisolamin, explained that the budyong was used as a horn during pre-colonial times to 'signal the start of festivities, or call to the community for a gathering.'" 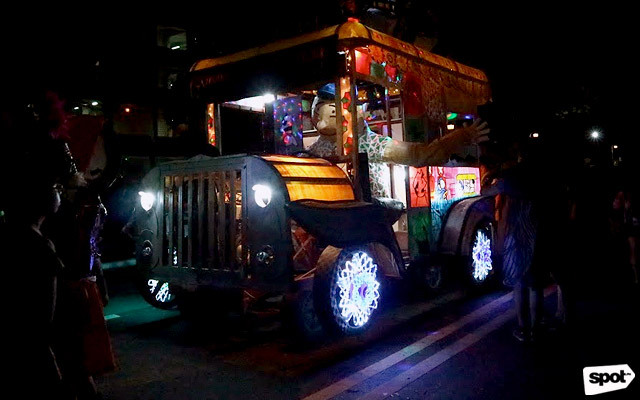 He added, "In times of imminent danger, the budyong sounds the alarm to take cover from calamities or rally the army to engage an enemy on the battlefield." 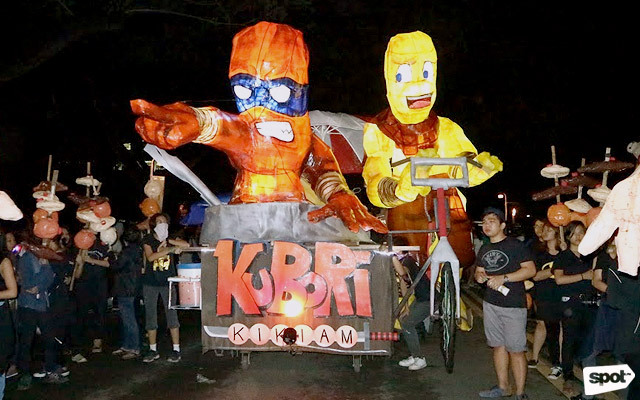 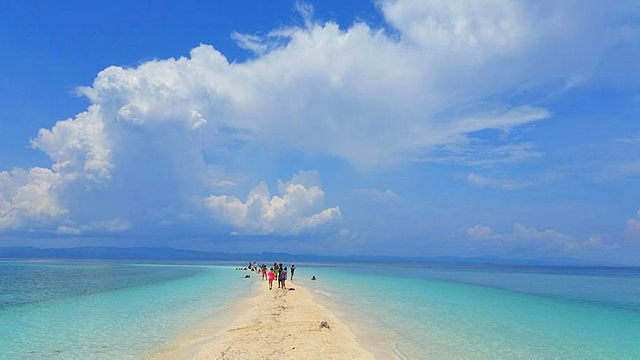 As for "Hagkan ang Gabi," it means "Kiss the Night." 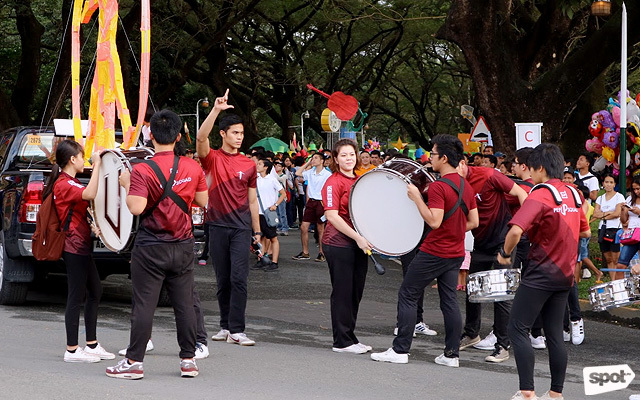 The phrase was actually used as the title of the musical variety show during the Pagiilaw. 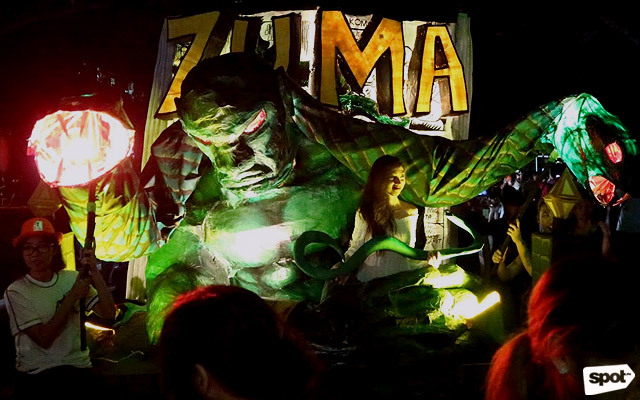 We take it as reference to the idea of confronting darkness without fear.